A football manager’s job is a thankless job – win, and your players get the plaudits; lose, and the axe dangles over your head. It is the manager who has the ability to instil a winning spirit in his team and make sure that every man performs to the best of his ability. At a time, when world football is getting increasingly competitive, the importance of a manager cannot be highlighted more. And like it is in every game, football has its own share of sad stories where managers were unable to bring success to their team and were ultimately let go by the team. But these individuals did not give up and put themselves to work again in another league. Let’s take a look at five football managers, who after being shown the door, resurrected their careers in a different league. Villas-Boas first came to the limelight when he led Porto to the league title without losing a single game. The success did not stop there and the club also won the Portuguese Cup and the Europa League that very season. The solid results meant that bigger clubs came calling and the manager left for Chelsea. His tenure at Chelsea was unlike the one at Porto and the manager was sacked after spending just one season with the Blues. AVB joined London rivals Tottenham Hotspur in an attempt to make a name for himself. His first season at Tottenham was extremely successful, and despite missing out on Champions League qualification, Spurs under Villa-Boas set a club record of 72 points their highest ever in the Premier League. However, their superb form did not carry over to the next season. Spurs lost their main man, Gareth Bale, to Real Madrid for a record fee of £85.3 million and the replacements brought in failed to deliver. The club faltered domestically and in December 2013 were seventh on the table. 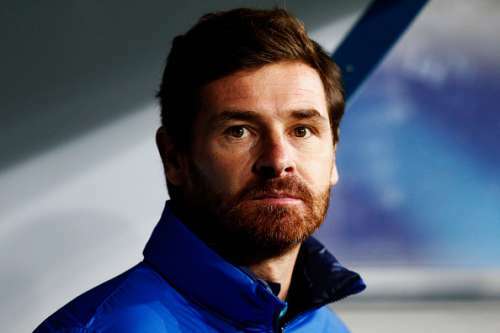 The weak performances and transfers meant that Villas-Boas left the club ‘by mutual consent’. The following March, the Portuguese was appointed as the manager of Russian club Zenit Saint Petersburg and things instantly clicked. He became the first manager in the history of the league to win the first six games in a row. Zenit continued their title charge but faltered narrowly as they lost out on the title by a single point. But, things changed for the good in the next season. The manager guided his team to their 5th league title and won the Russian Cup that season.